Thanksgiving is long gone, the Christmas decorations are up, the ground is covered in snow....and yet I am still finding random cans of pumpkin around my apartment. I am not kidding, they are everywhere. I think that as a result from the big pumpkin-shortage scare of 2009, I over compensated with my pumpkin purchasing this fall. Every time I went to the grocery store in late October and early November, I picked up a can, you know, just in case they ran out before Thanksgiving. I wonder if I am beginning to exhibit hoarding tendencies. Luckily, after all the pumpkin pies and tarts were made, I found an even better way to use up my seemingly endless supply of extra pumpkin. 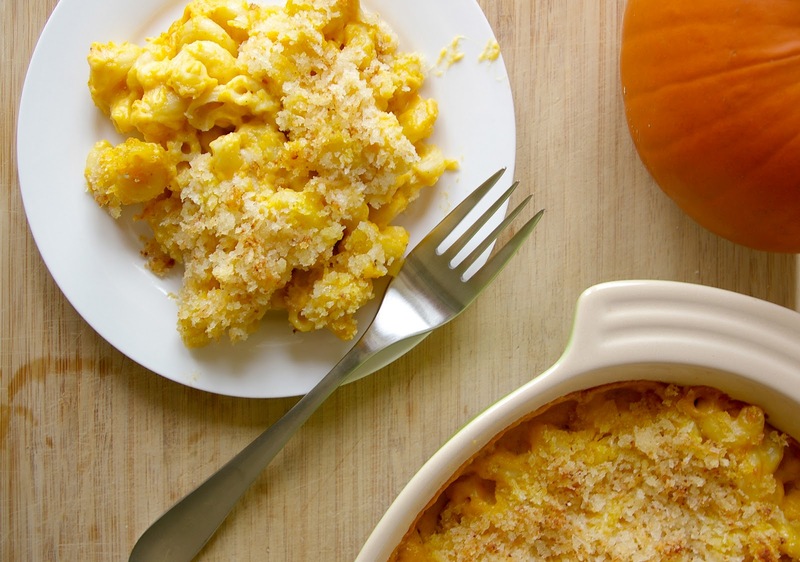 Pumpkin macaroni and cheese. I have been seeing versions of this creation all over the blog-o-sphere lately, and I am so glad I tried it. It wasn't overwhelmingly pumpkin-y, but very rich and creamy with a hint of squash flavor at the end. I added some Gorgonzola and ground mustard to the mix, just to give a little extra bite to cut through the rich cheesy pumpkin sauce. Bring a large pot of salted water to a boil, and cooked the pasta until just al dente. It should still have some bite to it as it will continue to cook while baking. Drain, set aside. Preheat oven to 375 degrees F. Meanwhile, heat the milk in a small saucepan over low heat, being careful not to let it boil or burn. Melt 6 tablespoons of the butter in a large, heavy bottomed pot over medium-low heat. 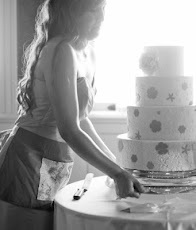 Add the flour and whisk constantly until combined and just starting to turn a light brown color, about 2-3 minutes. Slowly add in the milk, whisking until smooth and thick, about 3-5 minutes. Remove from heat and stir in the Gruyere, cheddar, and Gorgonzola cheeses, pumpkin puree, salt, pepper, nutmeg, and ground mustard. Melt the remaining two tablespoons of butter in the microwave, then mix with the panko and pecorino romano. Sprinkle the bread crumb mixture all over the top of the pasta and bake for 30-40 minutes, until top is golden brown and bubbly. What? No bacon?! A travesty! I really like this recipe. I have rogue cans of pumpkin puree in my house as well. I need to find a way to persuade the non-pumpkin eater in the house to try this. By the way, cavatappi would be my choice as well. So many bends and ridges. Lovely for mac and cheese. Haha... I too have an overage of canned pumpkin just in case there was a repeat of last year. 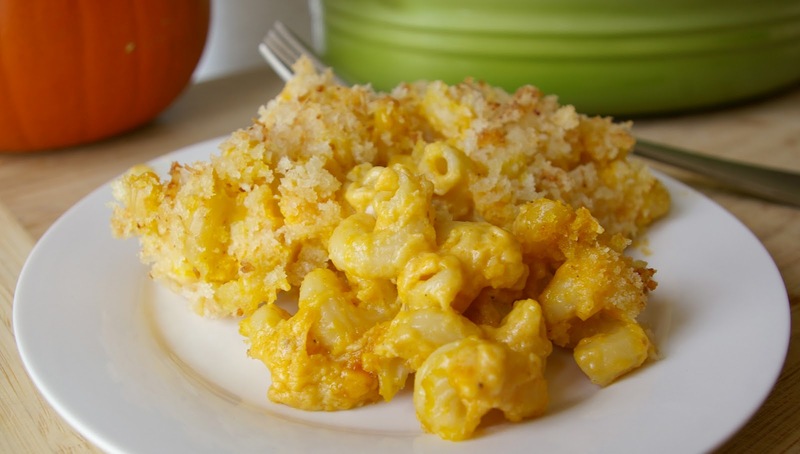 The thought of mac and cheese with pumpkin doesn't seem like a natural combination, but your photos sold me and we tried this last night. You couldn't immediately identify the pumpkin, but it created a complexity that is generally absent from your standard cheesy pasta. Creative and good! I have a tendency to hoard anyway, and I definitely went overboard with the pumpkin this year. I've also been craving mac and cheese, so I think I need to make this. Wow, this sounds so good to me. 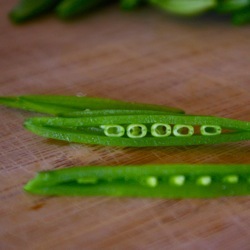 I am going to make this soon. And your photos are gorgeous, what great light you've got. Happy holidays! Tracy, i bet you could sneak it in without them even knowing ;-) you dont immeadiately identify the pumpkin, but it does add a depth of flavor and a richness that is not there without it! jenna, pumpkin risotto is definitely on my list! I STILL have two giant cans of pumpkin, so it maybe very soon that I try it out! Hungry Dog, happy holidays to you as well! I get about two hours in the morning when my kitchen is bright so I have to take advantage of it! 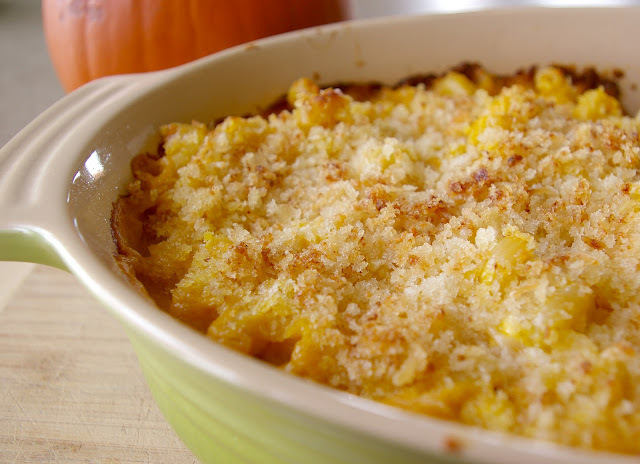 Sweet pumpkin would go well in creamy mac and cheese! mac and cheese is popular in our house, so this is a nice variation from my normal cheddar recipe. also good for all the pumpkin we have left over from the real one we bought a few weeks ago. i used swiss and cheddar as I couldn't find guyere in South Africa. tastes great. big hit. thanks.